Chair yoga is a revolutionary concept designed to make the numerous benefits of classical yoga available to a wider range of physical abilities. This step-by-step program can be practiced by virtually anyone, anywhere, in any chair, to stimulate physical and mental well-being. The DVD's two 40-minute sequences contain easy-to-master exercises that have been specially developed for people without the range of movement necessary for mat work. The exercises provide a gentle approach, whilst still retaining the numerous physical and mental benefits of classical yoga. The clear voiceover instructions and visual onscreen demonstrations guide the viewer through the routines, which can be carried out safely without any previous knowledge or yoga expertise. 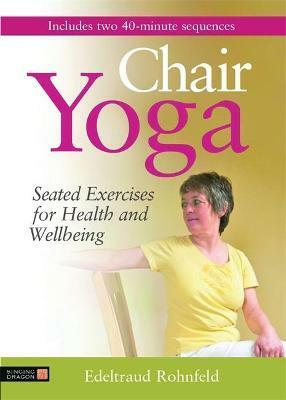 This DVD can be used alone or in groups and will be popular with anyone wanting to experience the health benefits of an easy, versatile form of yoga, particularly older people, people rehabilitating from illness or injury and those with physical disabilities, as well as the professionals who support them.